From a distance, this body of water looks likes any other, ordinary and simple - but that is as far as the eye can see. Beyond this is a legend, dipped in a folklore of myths that suggests more. 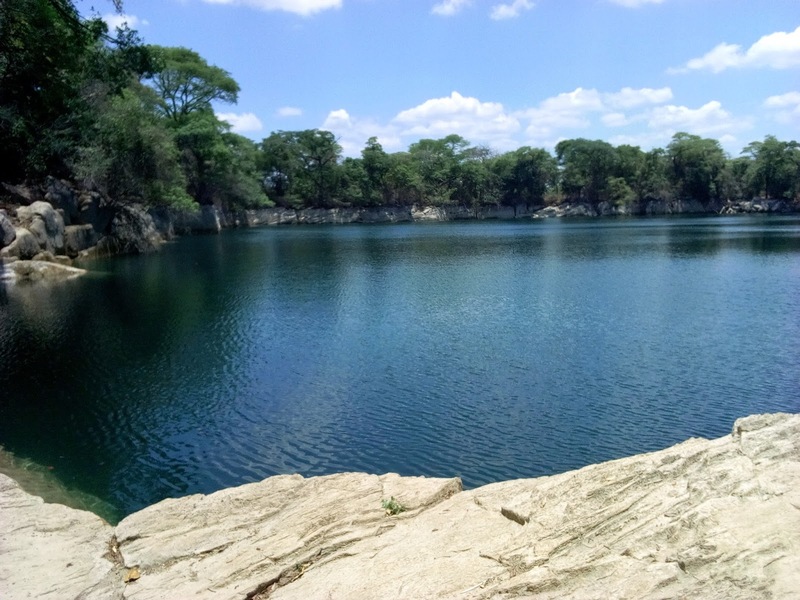 Though these waters appear normal and natural, there are stories shrouded in mystery about Lake Kashiba in Mpongwe District on the Copperbelt. This stunning mass of water, holds stories that sound more stranger than fiction. The lake sits on three point five hectares of land, surrounded by a forest and the area is now a national monument, protected by the National Heritage and Conservation Commission. The lake is one of the three sunken lakes in Zambia made of limestone. Government declared it a national monument in a statutory instrument issued in 1964. The Lima speaking people of Chief Ngubeni inhabit this area. The people believe that this lake is sacred and once one drowns, their bodies can never be recovered. This is just one of those weird beliefs. "People who drown here are never recovered. We have a recent case of a pupil who drowned and the body was never found. But people still risk, they swim often," said Mwewa, a local resident. He claims that according to local myths, the lake has no bottom and it is connected to oceans which makes it easy for bodies to swim away. This account of dead bodies not being recovered are shared by many. Rodgers Kafupi was born and raised here. He is now 30 years old and is currently the caretaker of Lake Kashiba. Rodgers recalls that in the past 10 years, three people, including a European tourist, have drowned in the lake and their bodies have never been found. "It is very true that when you drown here your body wont be found. In the past 10 years, i know of a white man, a black man and a pupil who drowned two months ago, non of their bodies were recovered," said Mr Kafupi. A few months ago, four pupils were swimming in this lake when one of them drowned. Commandos from the Zambia Army were called in to help retrieve the body. But the mission was abandoned after five days of searching and the body was not found. 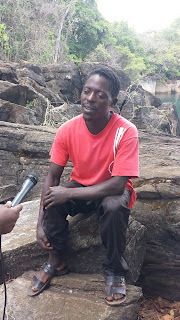 "When i first came to Mpongwe a few years ago, i was told people who drown here are never recovered and i have proved it. Two months ago, a pupil from Mpongwe South Secondary School drowned here, we called in commandos to retrieve the body but they failed. They tried to measure the depth of the lake and it was averaging 100 meters," said Mpongwe District Commissioner Keith Maila. Even the common man in the area knows the myths surrounding the lake. It is believed that the water level increases at night and recedes at dawn. The Lima people also believe that when one throws any object in the water, that object will be found the following morning placed at one of the rocks on the eastern side of the lake. "People believe that when you throw anything in the lake, you will find it on the rock. But since the Catholics did their prayers a few years ago, the spirits of have run away and those things no longer happen," said Mr Kafupi. Due to its natural beauty, Lake Kashiba attracts a sizeable number of tourists especially over the weekend. Evidence of this can be seen by the beer bottles and other drinks left littered around the lake. The site has potential to be a major tourist attraction for Mpongwe. A few years ago, the Council Guest House which was here was brought down on account of lack of business. But what is the local authority doing to improve the site? "We have plans to make the place more attractive. We want Zambians to appreciate the natural beauty the country has. 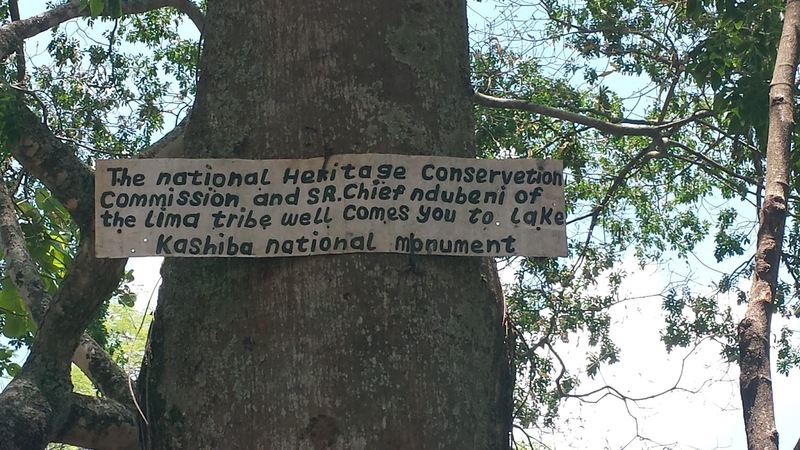 Lake Kashiba has potential to earn us revenue and we are doing something about it," said Mpongwe Town Council Treasurer Israel Mukalipa. A grass thatched hut is the only remaining infrastructure at Lake Kashiba. The structure is what tourists and visitors use when they go there. But more can be done by authorities. Lake Kashiba is located 28 kilometers west of Mpongwe boma in Saint Anthony area. The road leading to the lake is gravel, but it has been graded to allow good passage for visitors. People coming from Copperbelt towns for weekend braiis or picnics only need to drive for an hour or two from Luanshya, Ndola or Kitwe to get here. The lake itself is accessible throughout the year though in the rain season, the nearby stream bursts its banks and floods the road.